JCCS has become an international show. For years, the event has been growing, with ever better builds and spectators coming from farther reaches of the globe. This year, however, many top companies from Japan attended, while US-based ones upped the ante with their displays. These were the best booths of the 2017 JCCS. 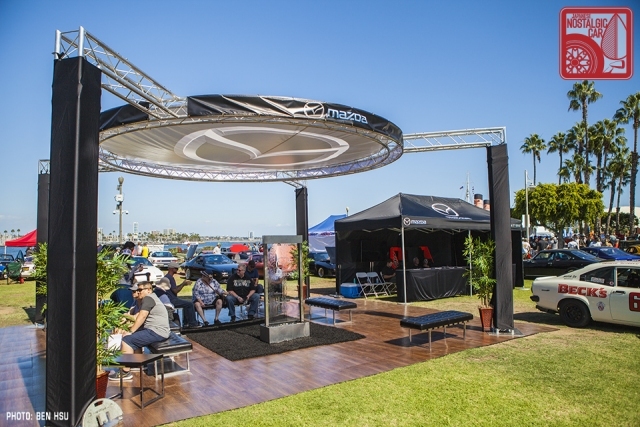 One of the most eye-catching booths this year was that of Racing Beat, the SoCal-based Mazda tuner. 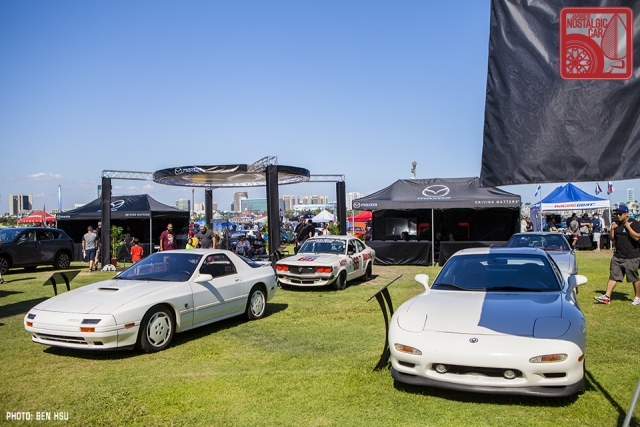 Back in the 80s, they produced a line of extreme body kits, most notably the “California” for the FC3S Mazda RX-7. The distinctive aero nose was available for both coupe and convertible RX-7s, and examples of both were gathered for the show. Beside them was Racing Beat’s Bonneville land speed record FC, which recorded a top speed of 238.442 mph on the salt flats. Further down the line was the demo car for the company’s Type II body kit for the NA Miata. Racing Beat’s rotary-swapped B2000 pickup had possibly the most incredible 80s color scheme ever, along with a very period looking body kit. 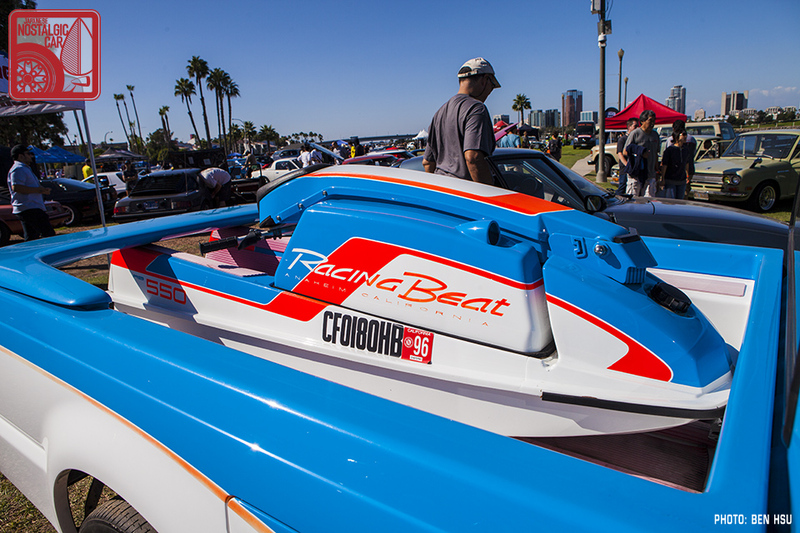 This year, the truck made a rare appearance with its matching jet ski. San Jose’s Z Car Garage’s recognition as one of the premiere Z and Nissan shops in the US is growing. 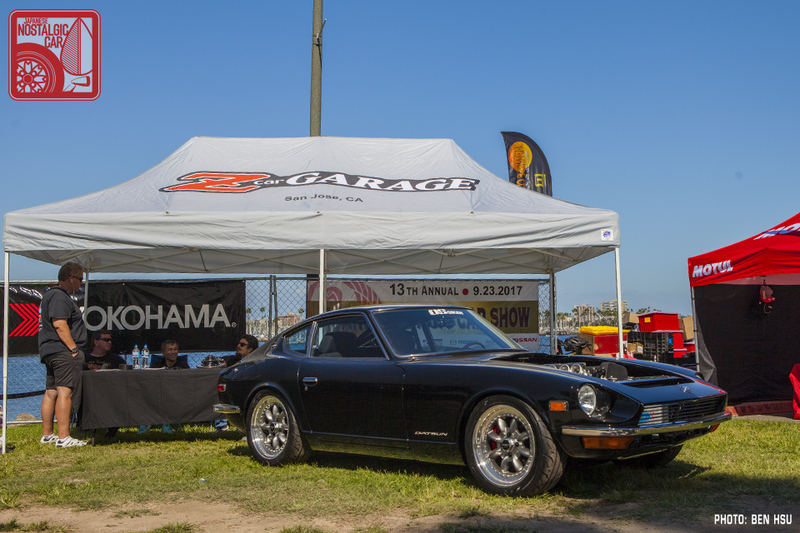 We first saw their OS Giken twin-cam Z at the SEMA Show, but this year they were invited to JCCS to show off their top-notch work. Our own editor at large Ricky Silverio is even getting his cars worked on there, and he doesn’t let just anyone touch his babies. We were very happy to see the shop have a presence at the show. 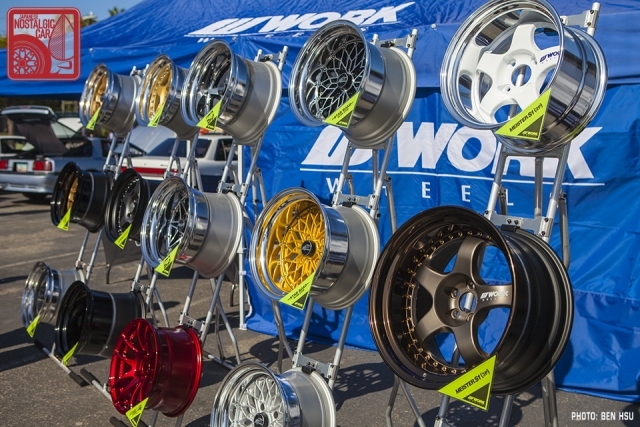 Work Wheels sent representatives from Japan and made a splash with a huge booth. 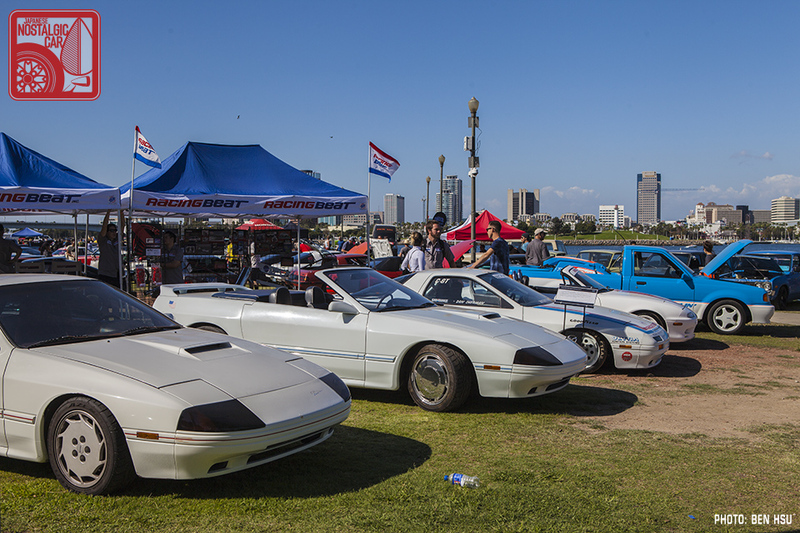 Their wall of wheels included everything from classic Meister S1s to neo-classic Glow Stars and Equip 40s. 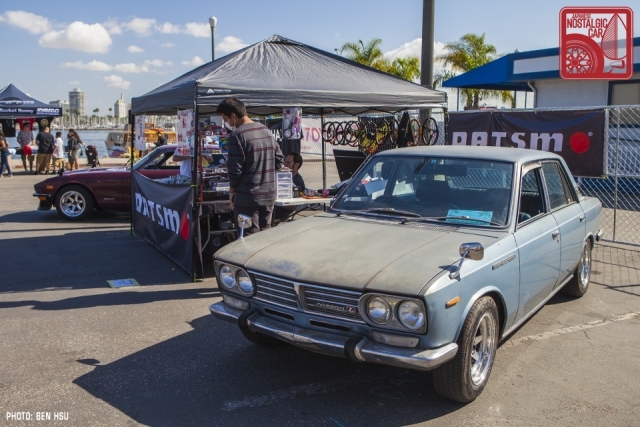 Work also had the coolest cars from the Wild Cards repping Equip 40s at the show, including our eventual JNC Award winner, Gilbert Susana’s Datsun 510. Speaking of Work Wheels, Tokyo-based Nissan tuner Star Road was here with a brilliant display car on Glow Stars. 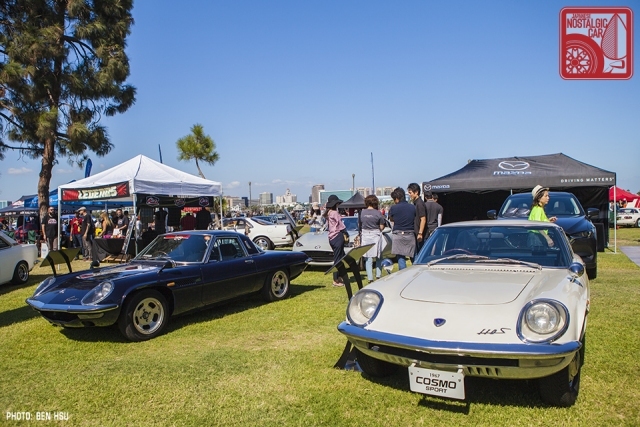 Typically, at Japanese events like Nostalgic 2 Days, they’ll display one of their signature resto-mod Fairlady Zs. 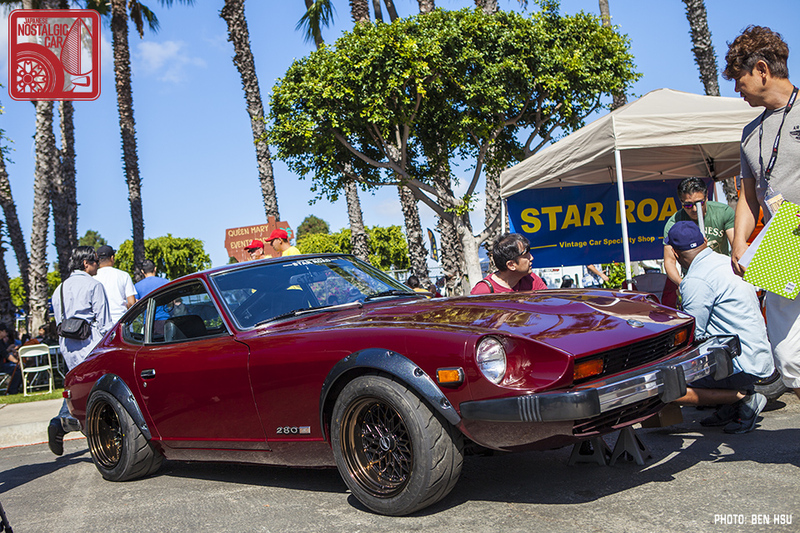 By any measure their US display Z was just as grand in a Grand Prix Maroon-ish color and bolt-on flares, but because this was America it was a 280Z with massive USDM safety bumpers. 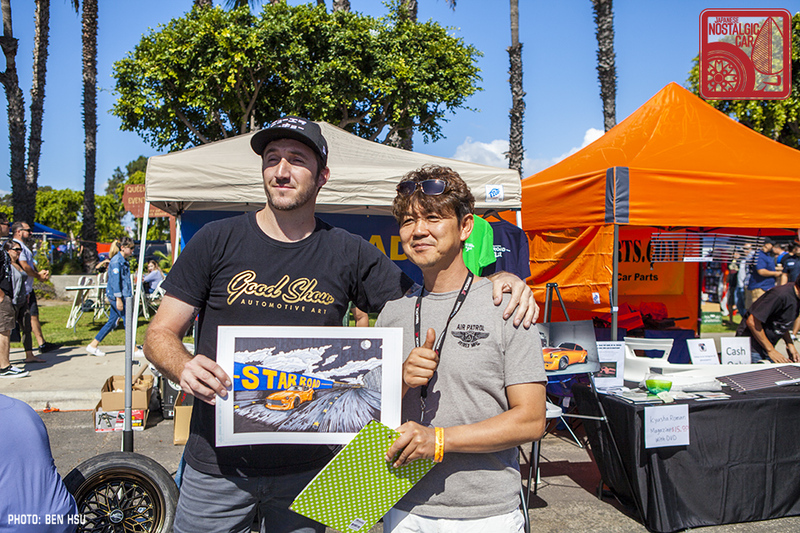 We ran into artist GoodShow_AA as he was presenting an illustration to Star Road shacho Shoji Inoue. The drawing depicted Star Road’s famed orange Fairlady Z in motion. Motul Oil had two icons on display, an AE86 and Hakosuka Skyline. 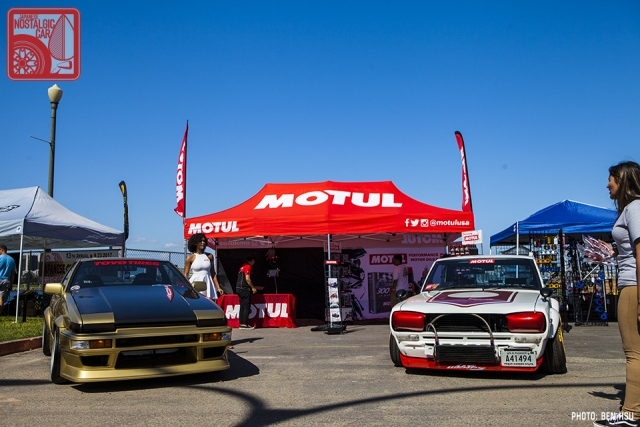 Both are well-known tuner cars — Allen Lugue’s Run Free AE86 was one of the most famous Hachiroku builds during the height of the tuner era, and its modifications capture the period perfectly. Joel Tan’s Hako captures the style of a different time, a tribute to the touring car Skylines of the 1970s. Our friends at What Monsters Do had our other friend Jay Kho’s R30 Skyline on at their booth. It has gone through a few changes since it was shown at our booth at JCCS 2015, stripped of its Group 5 racing livery, but the clean red-on-black signature paint scheme suits it just as well. 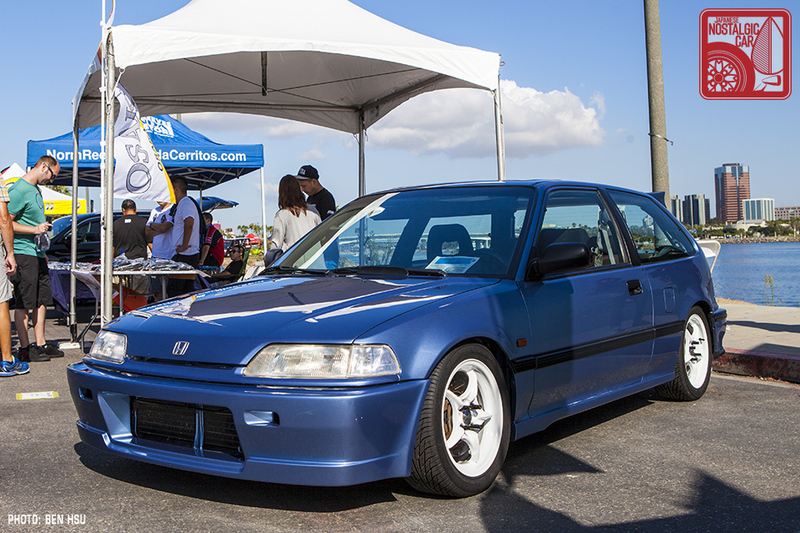 For the Honda faithful, it was an honor to have famed Japanese tuning house Osaka JDM come all the way from Japan. 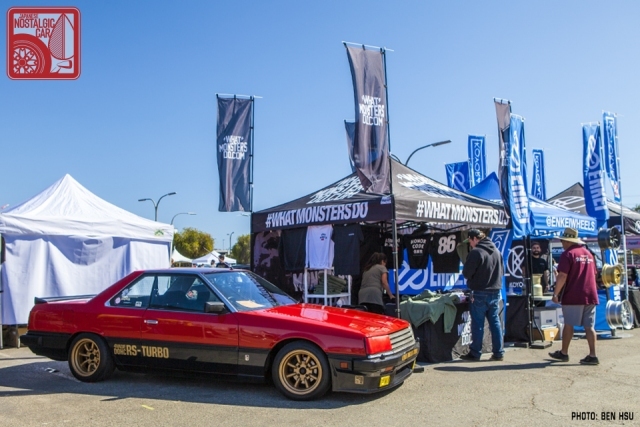 The firm is known for being one of Japan’s premier tuners for 80s and early 90s Hondas, as well as keeping the tradition of the Kanjozoku alive. Closer to home, our friends at Model Citizen Diecast had a drool-inducing selection 1:43 and 1:18 scale treasures. 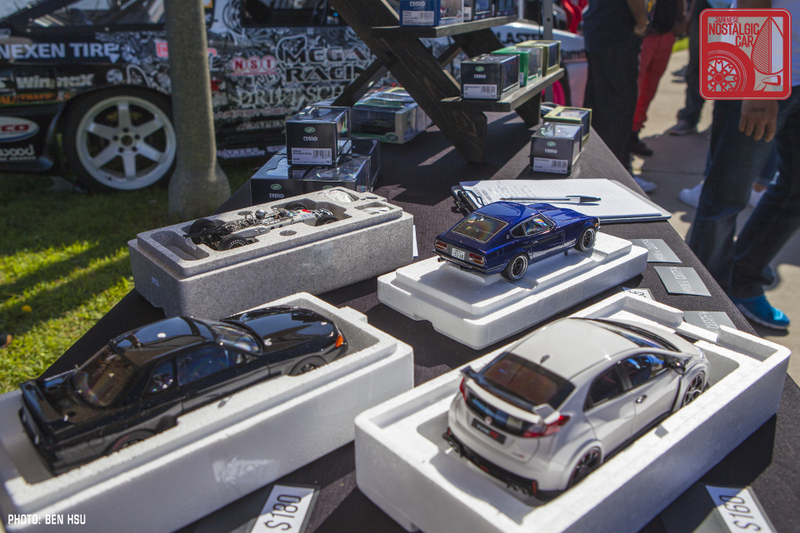 Their selection Nissans and Hondas — in the form of an R32 Skyline GT-R, Wangan Midnight Fairlady Z, Civic Type R and 1965 RA272, as well as models of many other marques — made us feel that even if we couldn’t afford our dream garages in real life, at least they could be recreated in diecast form. 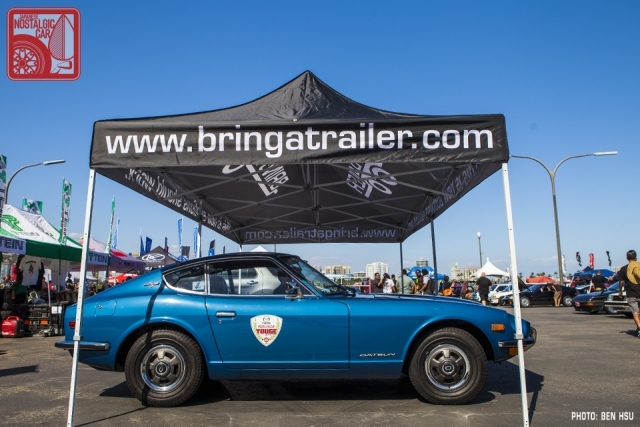 Auction site Bring A Trailer was there with Mike Malamut’s brilliant Datsun 240Z. As the roundel shows, it was a proud survivor of the 2017 Touge California, where it conquered 200-plus miles of some of California’s best mountain roads. 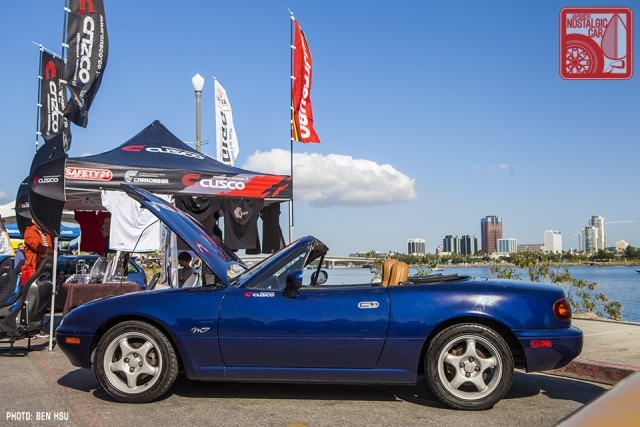 Japanese suspension specialist Cusco was present with a beautiful 1996 M Edition Mazda Miata. Its exclusive Starlight Blue Mica paint and Enkei 5-spokes were a limited edition back in the day, though in this case limited meant 2,968 examples. Still, it’s increasingly hard to come across a mint one, so kudos to Cusco for finding one and bringing it to JCCS. Datsmo and his C30 Laurel are regulars at JCCS, but this year his booth welcomed guests from Classic Car Nagoya. It was humbling to know that the Japanese restoration shop’s shacho was walking around the show with his encyclopedic knowledge of Japanese classics, checking out our cars. Japan’s Colin Project was there to show off their relaunched Star Sharks. They’re also producing one-piece Longchamps and Focus Racing wheels in popular kyusha sizes and more affordable one-piece designs. 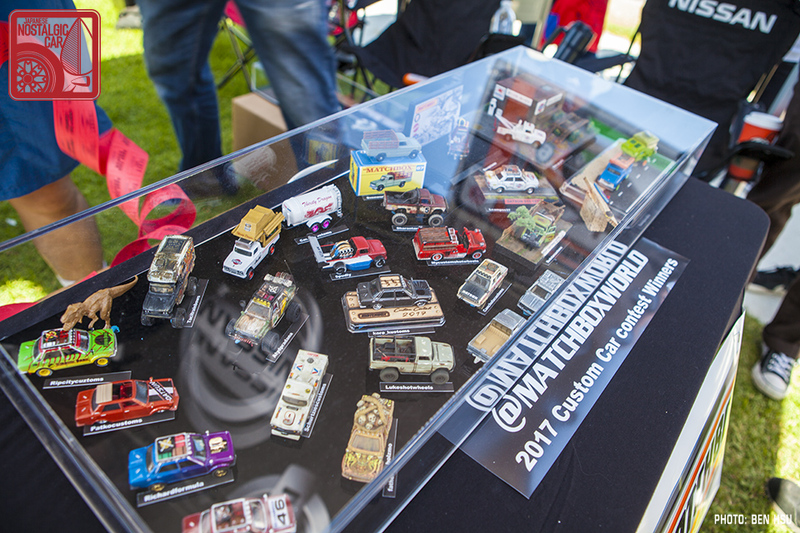 Long-lived diecast brand Matchbox was there to raffle some limited examples of their new Datsun 510 rally car and show off some items from their custom contest. To say that fans, who swarmed the booth each time a raffle for the JCCS exclusive collectible was under way, would be an understatement. 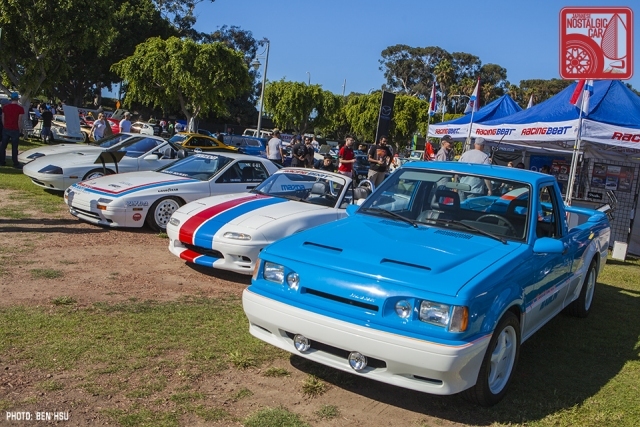 In addition to all the toys, wheels parts and tuners, carmakers also came out strong to support JCCS. 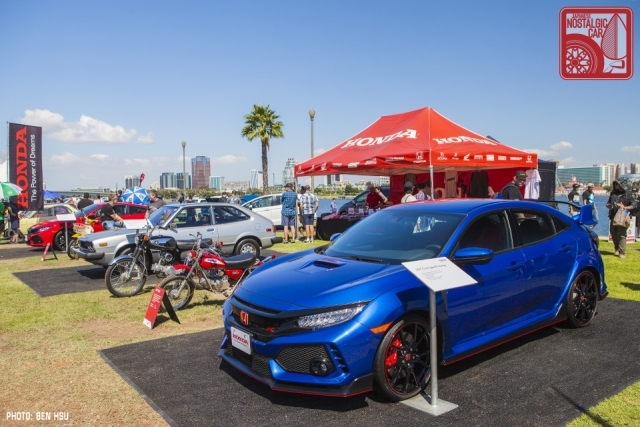 Honda came to show off their incredible history of both bikes and cars, with a first-gen Accord hatchback flanked by the new Civic Si and the first-time-in-America Civic Type R.
Toyota continued their tradition of bringing out some classics and race cars from the Toyota USA Museum, including a newly acquired TE37 Corolla and the gorgeous A40 IMSA Celica. Sadly, their presence was a bit smaller than it had been before, with the massive Toyota Motorsports trailer no longer present. That’s because Toyota is moving to Texas, and all the cars from the museum are going with them. 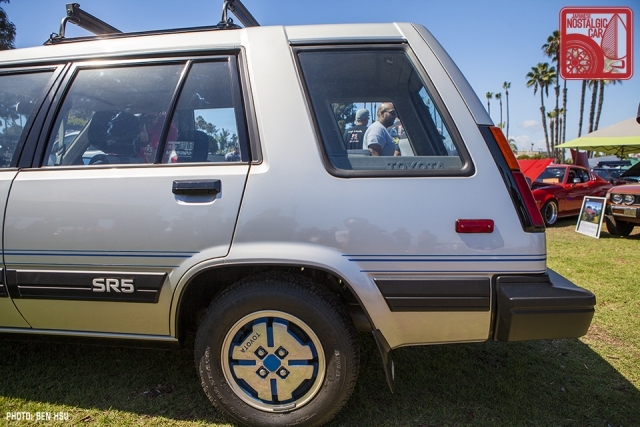 Still, a car that caught a lot of attention was the museum’s Tercel 4WD Wagon, simply because it was the only example present of a once ubiquitous family hauler. This particular example is a special one, with the blue stripes and wheels denoting its association with the US official ski team. 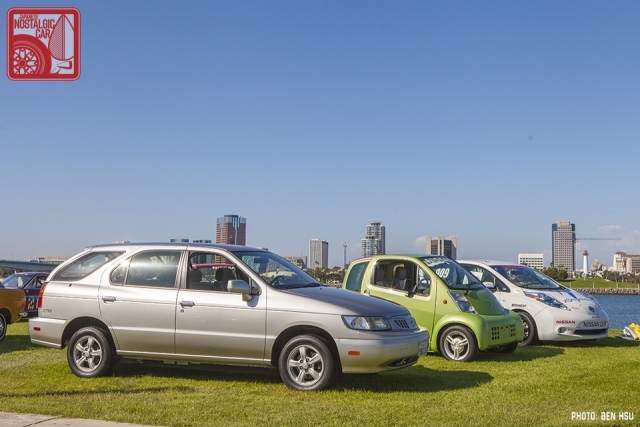 Nissan was debuting its new Leaf by bringing out several electric cars the preceded it. 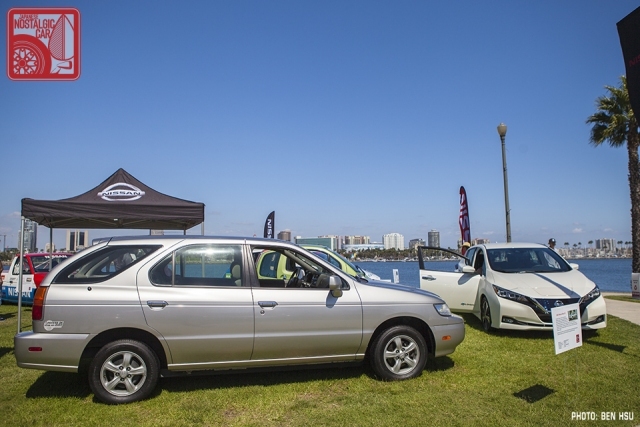 The silver wagon is a 2002 Nissan Altra, one of about 200 produced. The body comes from the JDM R’nessa, but where as the 2WD version would have come with an SR20DE and the AWD version a KA24DE, the Altra has been converted to electric power. Most were leased as fleet vehicles to power companies in Japan. The green microcar is a 1999 Hypermini, another limited production electric car. 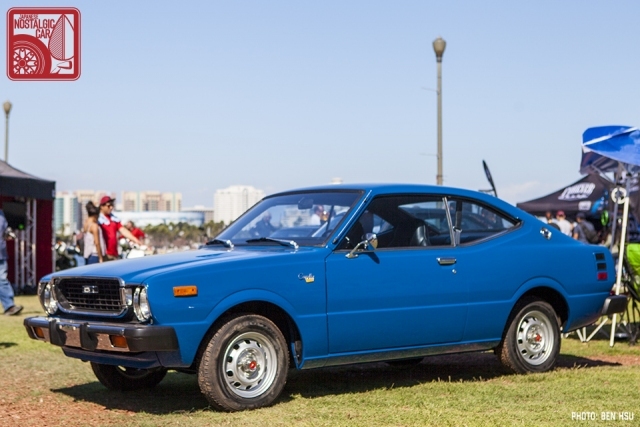 Only 219 were built, and while they were sold to the public in Japan the 26 brought to the US were used only in trial programs by the city of Pasadena and UC Davis. After the trial ended, most were destroyed and only two are known to have survived in North America. 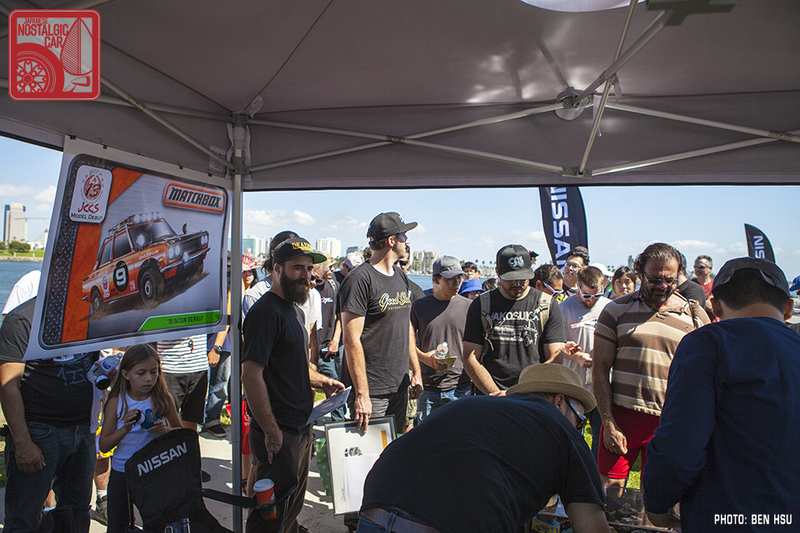 Nissan also displayed a couple of land speed record cars, as well as a Zzzap-inspired Heritage Edition 370Z and a bone stock 510 sedan. 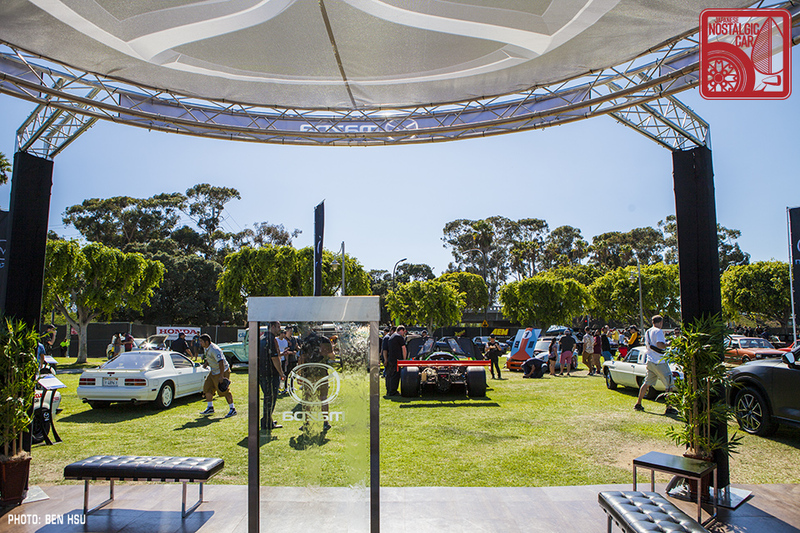 The absolute king of booth displays, however, was Mazda. Not only did they come out strong with not only a selection of amazing sports cars for the 50th anniversary of the rotary engine, but the booth was luxury experience. It had a complete lounge with leather seating, wooden floors, and a freaking fountain. 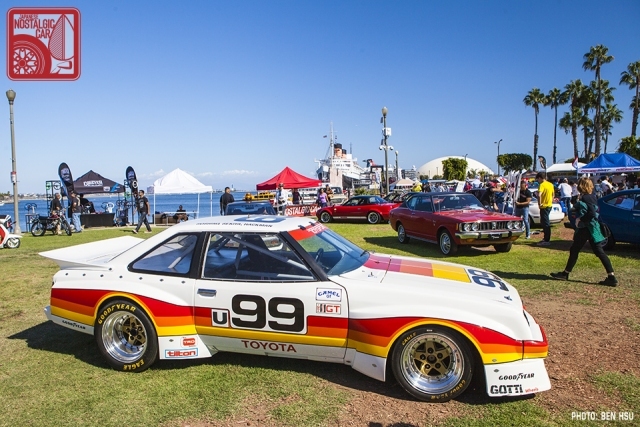 There was no better place to rest your legs, catch some shade, and gaze upon beautiful examples of RX-7, Cosmo Sport, and Mazda VP of Special Assignments Robert Davis’s personal RX-3 race car. Mazda also had their glorious 767B on display, along with not one but two Cosmo Sports. 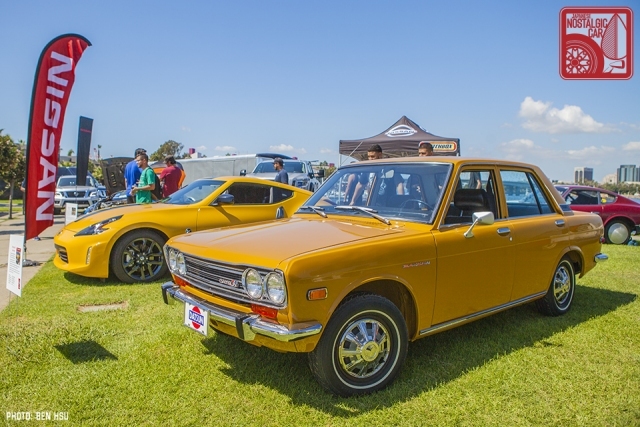 One is from their collection, a 1967 short-wheelbase version, while the other is from collector Myron Vernis, who took his 50-year-old rotary on the 2017 Touge California and made it all the way to the end despite grueling temperatures. Lastly, our very own JNC booth had a 1987 Toyota Land Cruiser on display, wearing just-released Yokohama Geolandar M/T G003 tires. This is our latest hauler after the retirement of our long-lived 1986 Cressida Wagon. Hey, it’s one year newer! 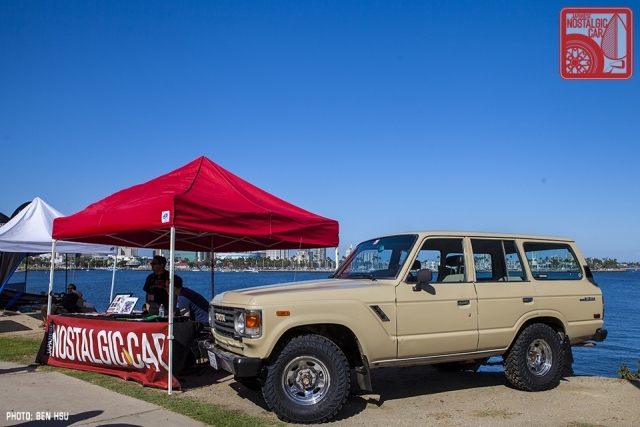 So far we’re loving the FJ60, and we’ll have more to say on the rig and its tires soon. We’re just glad to have something that can carry a booth’s worth of gear. We will have more 2017 JCCS coverage coming up but in the meantime, in case you missed it, here’s Part 01 — JDM Goodness, Part 02 — Race Cars, Part 03 — Stock as a Rock, Part 04 — Shakotan Sleds, Part 05 — 80s and 90s, Part 06 — Datsun 510s, and Part 07 — Trucks, as well as a JCCS Spotlight feature and JCCS’s Best in Show. 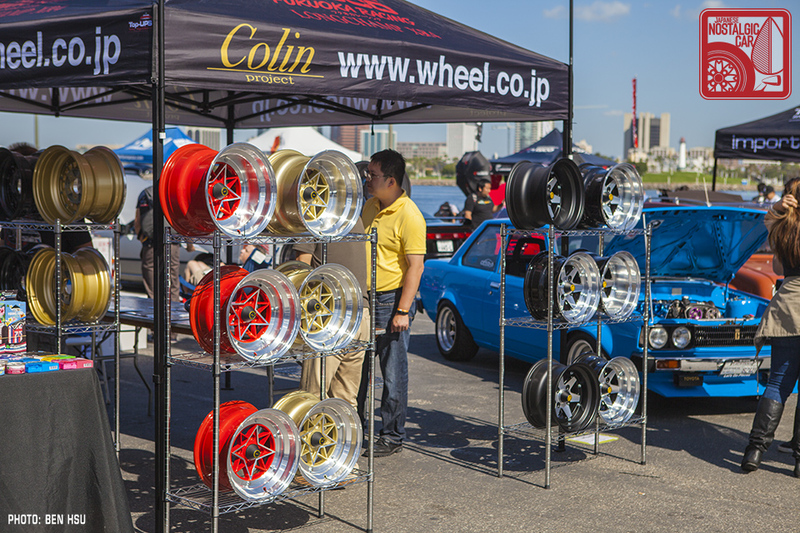 tagged: 240z, 240Z/260Z/280Z, 280z, 510, a40, accord, ae86, Altra, b-series, bluebird, c10, c30, celica, civic, Civic EF, Civic Type R, Classic Car Nagoya, Colin Project, corolla, cosmo sport, datsun, e30, fd3s, fj60, Hakosuka, honda, Hypermini, Hyprmini, imsa, japanese classic car show, JCCS 2017, land cruiser, laurel, leaf, matchbox, mazda, miata, mx-5, nissan, osaka jdm, r30, racing beat, rx-3, rx-7, s30 z, skyline, sprinter carib, tercel, toyota, wagons, Wild Cards, Work Equip 40, work wheels, Z Car garage. Thanks for the Super in depth coverage guys, it is not as close as being at JCCS. (But you guys always cover everything, which is awesome). yep thanks always for the pics, you go to a lot of trouble providing us with good content daily! Thanks for the great coverage, Ben! Hope to see you at the Touge this year. 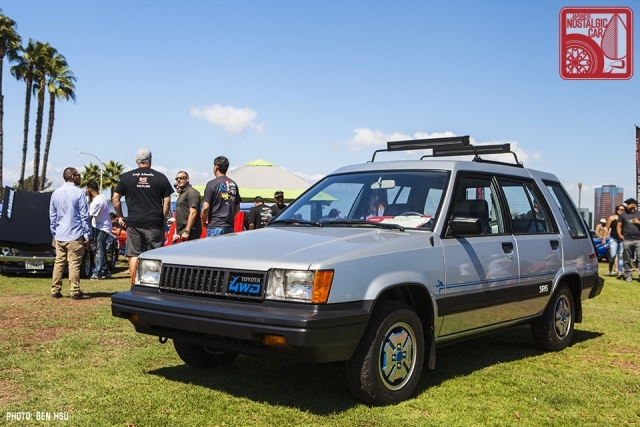 We have a new JNC project, and it would be great to do another Touge 80s! 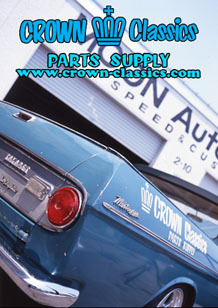 Wow thanks for the pictures and write up about those classic cars. 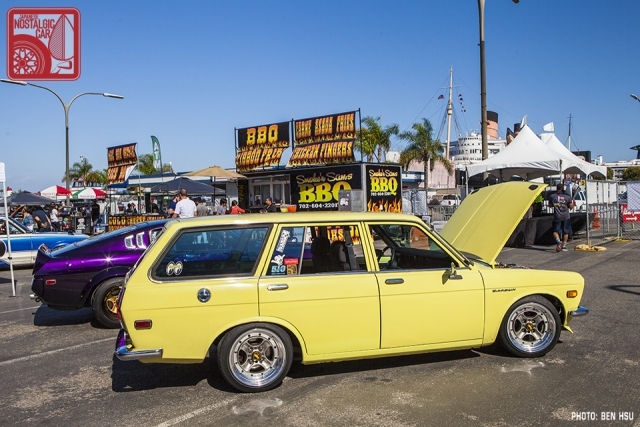 Love the Datsun 510 and Toyota Land Cruiser.